With the national newspapers forecasting a harsh winter, and some reporting a 4-month period of the Beast from the East, it may be wise to ensure we are not caught out by adverse weather conditions. The changing weather doesn’t just affect us, but the cold and damp roads can dramatically affect the performance of tyres, leading to an increased accident risk (from October to March) according to the tyre experts at TyreSafe. There are various ways of achieving improved traction with the ground such as winter tyres, chains, or snow socks! Here we will take a look at what the experts say about winter tyres so that we can be well informed when we make a tyre choice this winter. Is it worth the investment or all a load of hype from tyre manufacturers? What is different about a Winter Tyre? In the UK, we generally drive on Summer tyres with some preferring all-season tyres. In other parts of Europe it is compulsory to change to Winter tyres between October to March. All these tyres come with different compounds to give you the best braking performance enhancing your safety according to the season. Winter tyres are designed to be flexible in temperatures under 7 degrees C. They use softer rubber, deeper tread and covered in sipes (jagged slits) on the tread. This enables a much better grip and predictability when you drive. All-season tyres are great, but both summer and winter tyres outperform them. 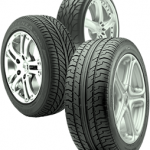 As with all tyres, cost depends on the quality of the brand. Budget tyres start from below £50, with premium brands of around £100 likely to offer better grip and braking performance. You will need to replace all 4 tyres (and the spare) as a mix of winter and summer tyres leads to dangerous instability. 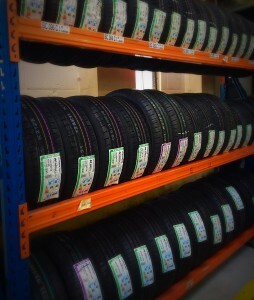 Your ‘off-season’ tyres will need to be stored appropriately. Most stack them in their garage, but some tyre specialists will store them for you and change them over for a fee. Although, there is the initial cost in purchasing the tyres, you will prolong the life of the summer tyres. What do winter tyres do? Summer tyres go rigid during the winter months when temperatures dip below 7degrees centigrade. The compound used in winter tyres enables the tyre to be more flexible. The sipes (hundreds of small extra edges which are all over the tyre) ensure a good grip as the tyre rotates. The deep tread ensures water or slush are washed away efficiently to increase resistance to aquaplaning. The tread also holds and gathers snow to exploit the virtues of snow gripping best on snow. What don’t winter tyres do? They offer significantly poorer performance in dry conditions, above 7 degrees C. Less grip leads to poorer braking distances and difficulties on bends. Winter tyres also wear quicker if used in warmer temperatures. Do we have cold enough weather to warrant Winter tyres? They are not mandatory here, but in remote parts of the UK where you may be at risk of being cut off without the ability to drive, such as in a village, they may be a wise investment. Winter tyres are usually available in a limited stock throughout the country, so it is wise to purchase them early in the season. For those who are in a more urban setting, it can be harder to justify the expense, or aggravation of tyre changes, despite their better performance. Do winter tyres affect my insurance? It is always worth double checking your insurance before they are fitted. Most regard them as enhancing safety, but some disappointingly regard them as modifications. What if I keep to my summer tyres? Check your tyres! There is a 1.6mm legal minimum requirement for tyre tread depths. The AA recommends at least 3mm as a minimum in winter months. Check the tread is a consistent depth across and around the whole tyre. Also look for signs of damage which may cause a sudden tyre failure which can prove catastrophic if travelling when it happens. The experts can help in many ways from helping you choose the best tyre for your car to conducting wheel balancing and 4-wheel alignment to ensure you get the best out of your tyres. 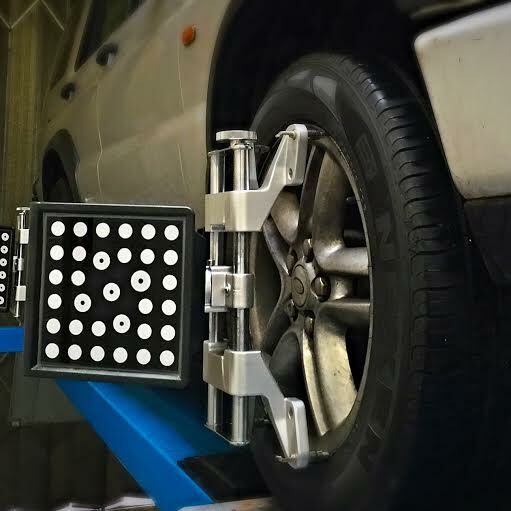 Wheel Balancing – ensures your wheel has an equal distribution of weight whilst it is turning. A computerised electronic wheel balancer measures the extent of the imbalance and weights are placed on the rim. This helps the tyre maintain contact with the road. Without this it can cause the steering to vibrate compromising your steering and braking. If left unrepaired, it can damage your suspension, wheel bearings and steering components. Alignment/tracking – The AA recommend checking alignment every 6,000 miles or when tyres or steering components have been changed. Cars have a set steering track setting which is compromised with normal wear and tear or when hitting a kerb or pothole. If this is left, tyre wear can become rapid. Look for inner and outer uneven wear. 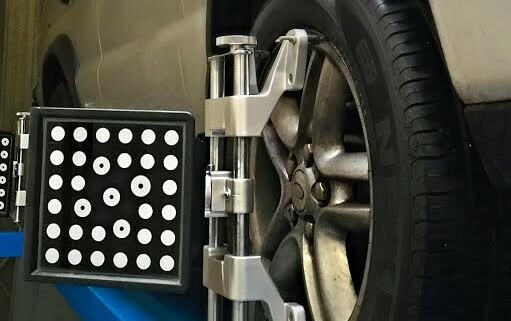 For accuracy, look for a garage with the latest 4-Wheel Alignment technology. Valves – ensure that your tyres are constantly inflated. Garages will check it isn’t worn or damaged and remove any dirt or grit as it can reduce the life of a tyre. Diligent garages will replace them. They will also provide you with the usual checks for tread depth and condition, tyre pressure and check for damage that severely impact on the car’s performance. If you are unsure, contact an expert for advice. There are many types of retailer, so make sure you compare like for like and ask for a fully inclusive price for the tyre, valve, fitting, balancing and VAT. Ensure you are aware of any hidden costs such as the disposal of your old tyres. Keep safe this winter and if you are in any doubt, ask an expert. At Redbourn Auto Solutions, we care about your safety. We do not charge to check your tyres and our advice is free. If you do purchase a tyre through us (budget or premium brand), we also conduct a complementary 4-Wheel Alignment Check…. Now, you don’t get that from your average garage!